Windows 7 comes with very nice looking blue color logon background screen. 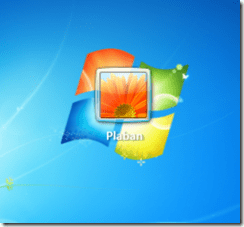 It is not possible to change Windows 7 logon screen background image easily. There are some other ways to change Windows 7 background screen backgrounds. Using some software we can change the logon background images. Now change Windows 7 logon screen easily. Windows 7 Logon Background Changer is the name of the software and it is developed by Julien-Manici.com. It is just 700kB in size and you don’t need to install it. Run the software and you will be presented with very simple user Interface. Select your desired background image and hit ‘Apply’ and you are done! Windows Blue Update for Windows 8 Leaked, Download Windows Blue Now!